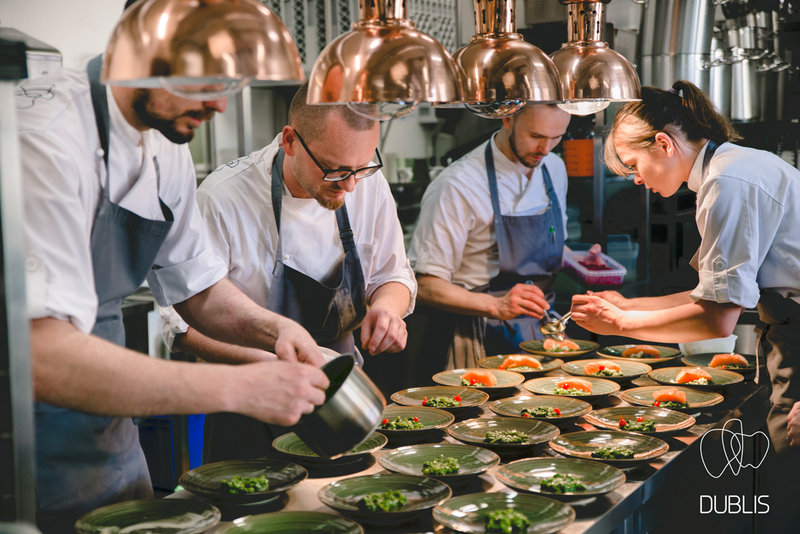 Here we would like to provide you with some guidelines and recommendations of the best Vilnius restaurants, or the ones, that we think are really worth visiting while you are attending BSCOSO Winter Course. Restaurants are divided according to the category, thus please choose your favorite cuisine and make an advance table reservation. 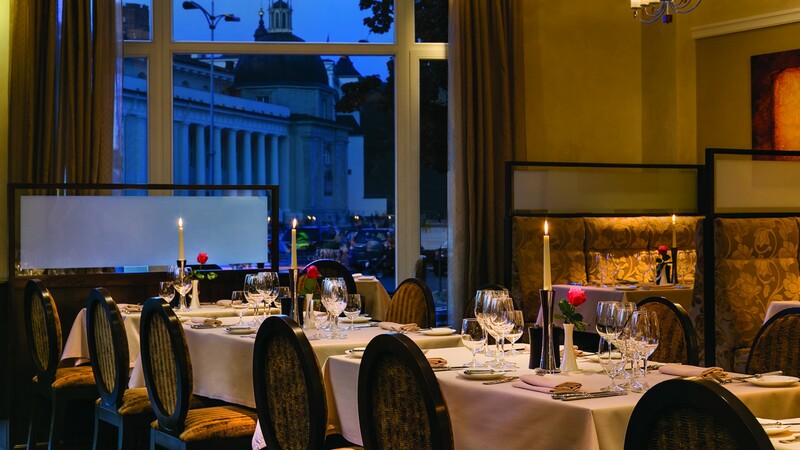 In the centre of Vilnius Old Town, Restaurant Telegrafas is the place for those seeking an elegant dining atmosphere with incredible European gastronomy, offering a subtle balance between history and modernity with a relaxed atmosphere overlooking the picturesque Vilnius Cathedral Square. Restaurant “Stebuklai” (Miracles) invites you to experience breakfast miracles, day miracles and a ala carte miracles. French style and cuisine restaurant in the heart of the Old Town. 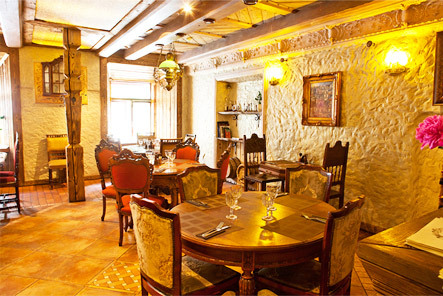 Restaurant offers a selection of French meals and wines. When the evening comes, restaurant DUBLIS fills with refined tastes and aromas and warm conversations. This is a place for those who look for inspiration in novelties, improvisation and pleasure. Here, you will find a Scandinavia-inspired cuisine, a seasonal menu, the most popular, classical DUBLIS dishes, and culinary improvisations. 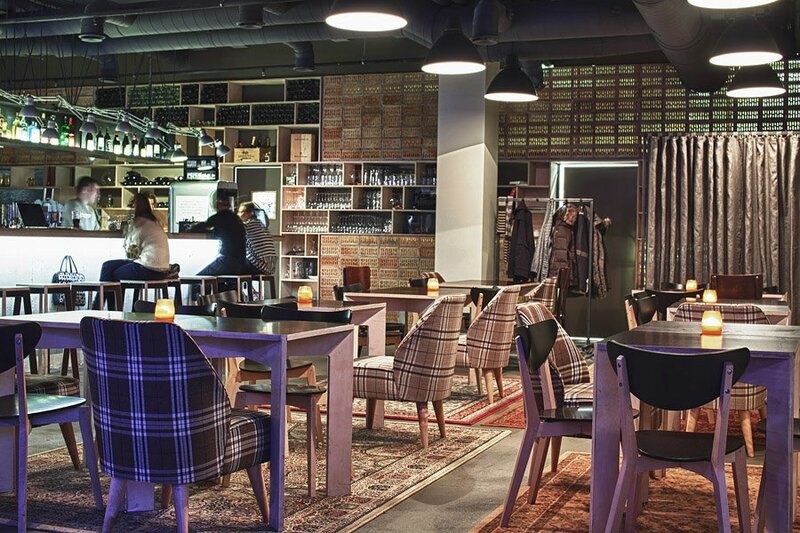 The exclusive restaurant interior, which stands out among all other restaurants in Vilnius, as well as the meals and drinks offered with one of the best Lithuanian wine experts – Arminas Darasevičius. Other restaurants of this category, that are also recommended: Salvete City, Time, Sonnets, Trattoria da Flavio, Terazza, Boff Steakhouse, Medininkai, Saint Germain, Balzac, La Provance, Fish restaurant Žuvinė. 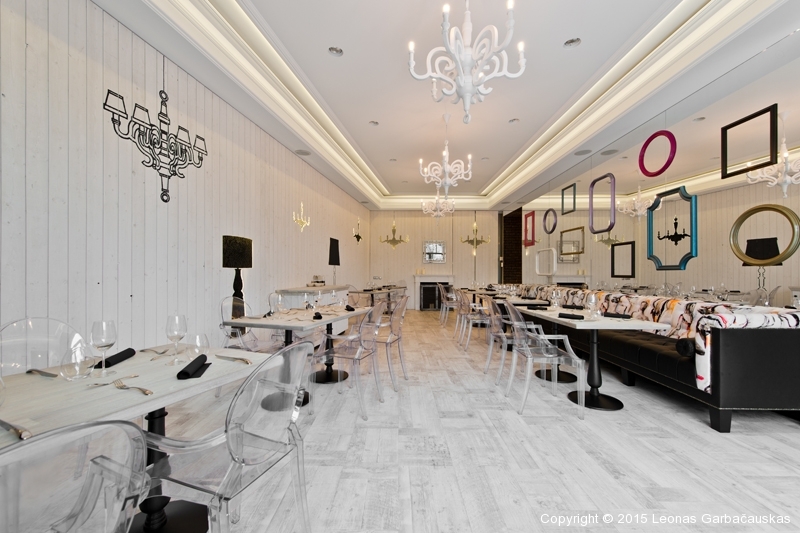 This is a French type restaurant which serves a variety of European dishes. Menu is moderated according to seasons. Also “Bistro 18” has a huge wine list. With a talented chef, a great selection of dishes, affordable prices and a marvelous view of Cathedral Square, it’s no wonder Zoe’s is popular amongst locals. 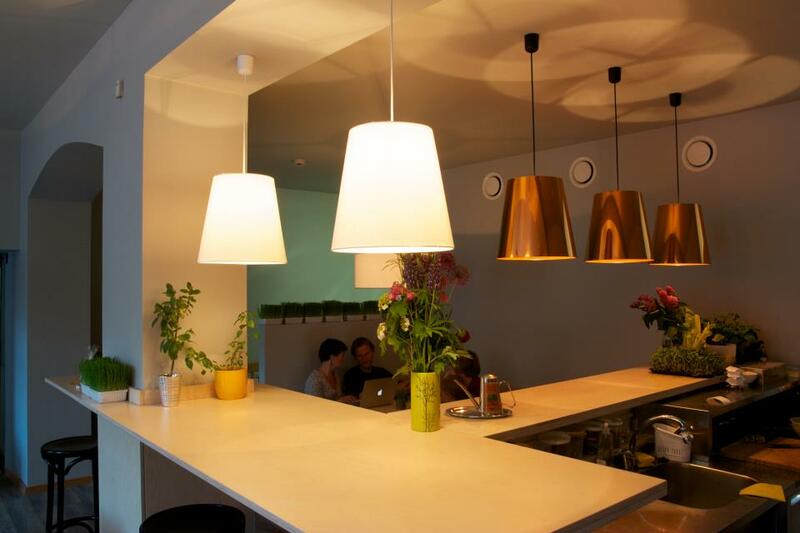 It’s a calm and relaxing dining spot for good quality lunches and dinners. 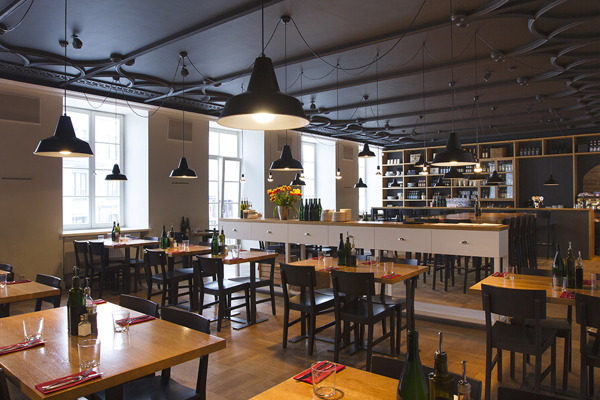 Kitchen was one of the first places in the city to introduce the trendy concept of dining at communal tables. Located on the second floor of the old townhouse right in the Town Hall square, the restaurant features a menu of contemporary Mediterranean cuisine, including light and healthy pastas, risottos, quiches, salads and soups. The charm of Vilnius lies in the tiny winding streets of the Old Town. On one of these streets you’ll find this restaurant. Dedicated to the famous Belgian surrealist René Magritte, this quasi-Belgian, quasi-French place is just a little bit insane. Go ahead, draw on the tables, they won’t mind. 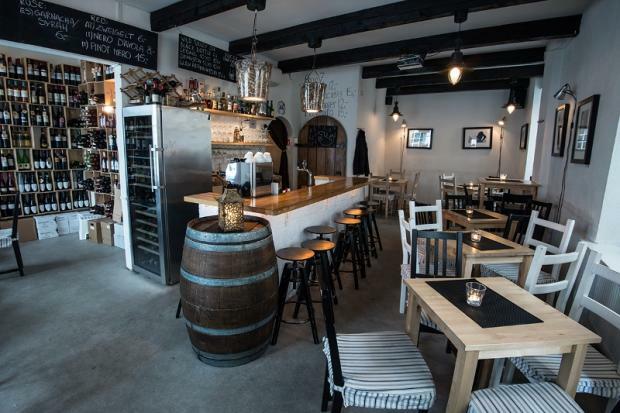 Superb food, Belgian beer and a brilliant wine list. Other restaurants of this category, that are also recommended: Gabi, Sofa De Pancho, Meat Lovers Pub, Drama Burger, Vapiano, Soul & Pepper. The menu of “Sweet Root” is concise though balanced, changing every 2 to 3 months in line with the rhythm of four beautiful seasons of Lithuanian nature. 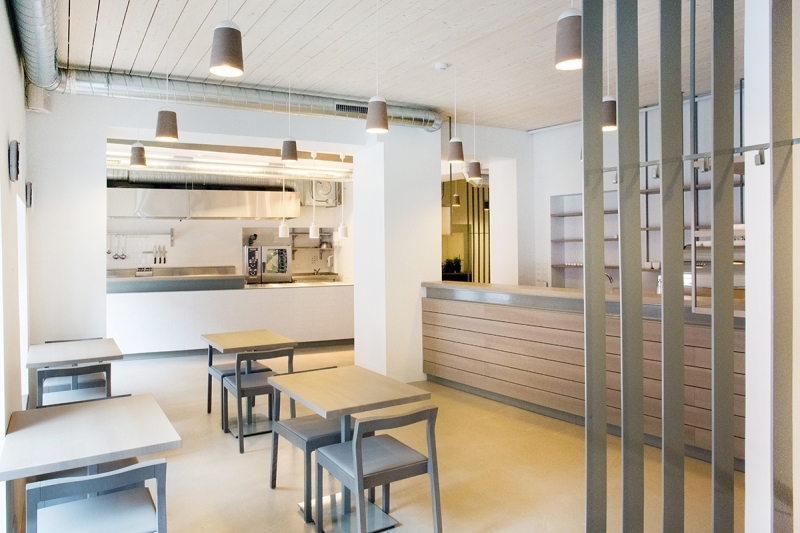 It is based on true, natural, locally sourced produce and patterns derived from traditional Lithuanian cuisine. 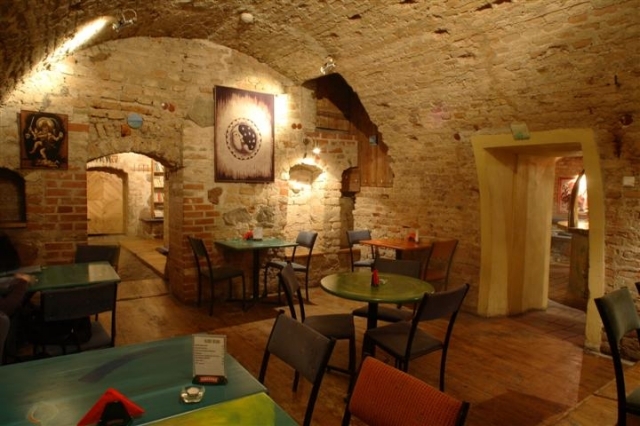 “Mykolo 4″ restaurant-bistro is named by St. Michael the Archangel, the patron of people, and it has the same name as Vilnius Old Town street, where the restaurant is located. 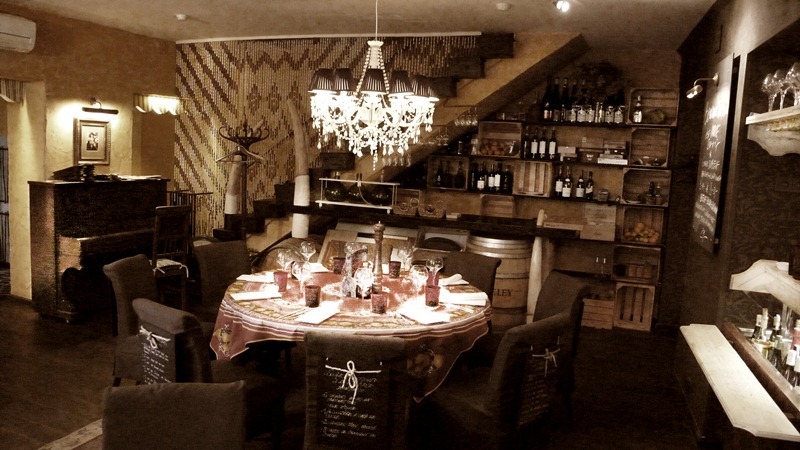 The restaurant invites to discover the flavors of bourgeoisie cuisine of Vilnius and enjoy exclusive wines and mead. Cozy and intimate atmosphere, relaxing music, amicable and attentive service, the world of sensory delights – this is the place you would wish to come back again. 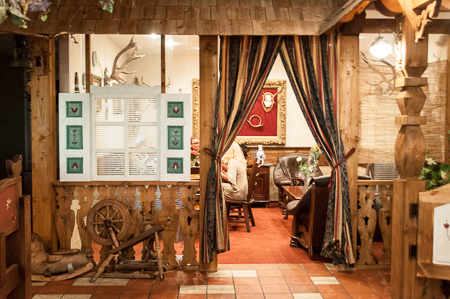 Restaurant „Šturmų švyturys” located in the unique Vilnius district Užupis is permeated with the Lithuanian seaside tradition. 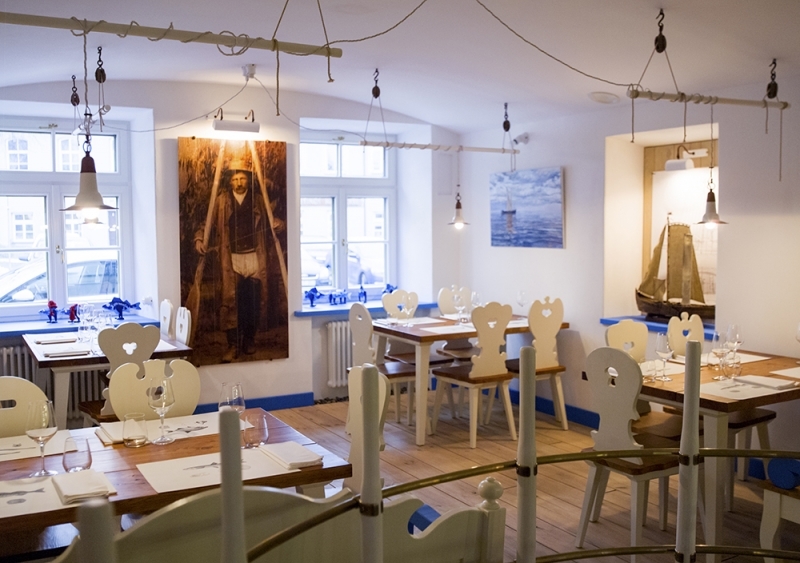 Here you can enjoy exclusively fresh Lithuanian fish from the Curonian Lagoon and the coast of the Baltic Sea, which comes daily to the restaurant straight from experienced fishermen. Traditional Lithuanian dishes for Your good mood and taste! Everything is made with love and patience according ancient recipes. 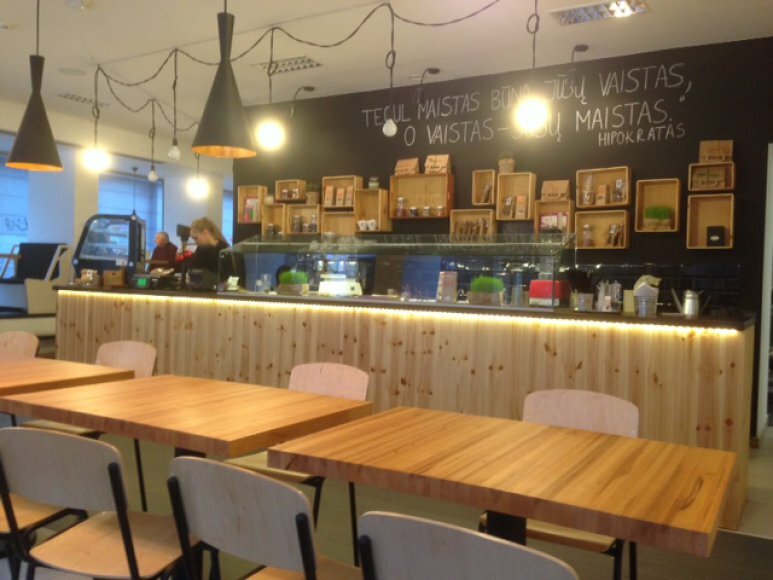 One can taste traditional lithuanian dishes or sophisticated ones with overseas spices and snacks and drinks as well. 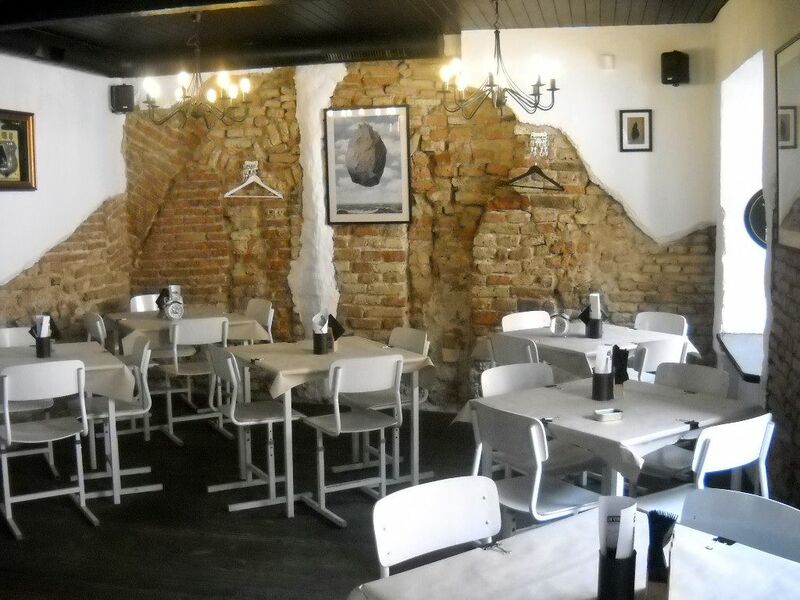 Other restaurants of this category, that are also recommended: Forto Dvaras, Forest. The place is about ayurvedic cooking: vegetarian and vegan dishes, but not just something to stave off your hunger. The strange thing about eating here is you don’t miss meat if that’s what’s normally mostly on your menu. They make you forget about it. ‘Vegafe’ has a feel of calm to it and lying down for a while after your meal to just relax is something you wouldn’t think twice about doing. The name of the restaurant declares that there is not simple food, but special food. The menu is not the usual zeppelins, steak or fried potatoes. Here it is produced by thermally untreated food. True, they have a few warm dishes, they also offer freshly squeezed juices, fruit cocktails and the usual hot beverages – tea, coffee and exceptional taste of deep coffee. Raw food, living food – is food prepared under 42°C degrees. Raw food makes organism use less energy for its digestion. Raw food saves active nutrients, enzymes and vitamins needed for normal functioning of the digestive system, ongoing metabolism, cell proliferation, working brains. Balti Drambliai (White Elephant) was the first vegetarian restaurant in Vilnius so it has had time to develop a good reputation amongst locals. It’s located in an old basement although during the warmer months there’s also an open courtyard.The food has a distinct Indian influence and the courtyard is absolutely lovely. 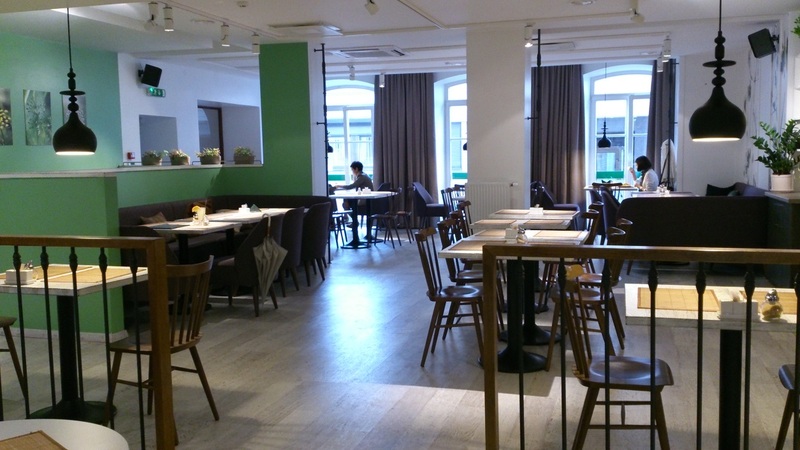 It is an Indian restaurant in the centre of Vilnius, which offers a wide-ranging menu that is based on taste, flavour, fresh produce, home-cooking and healthy food. 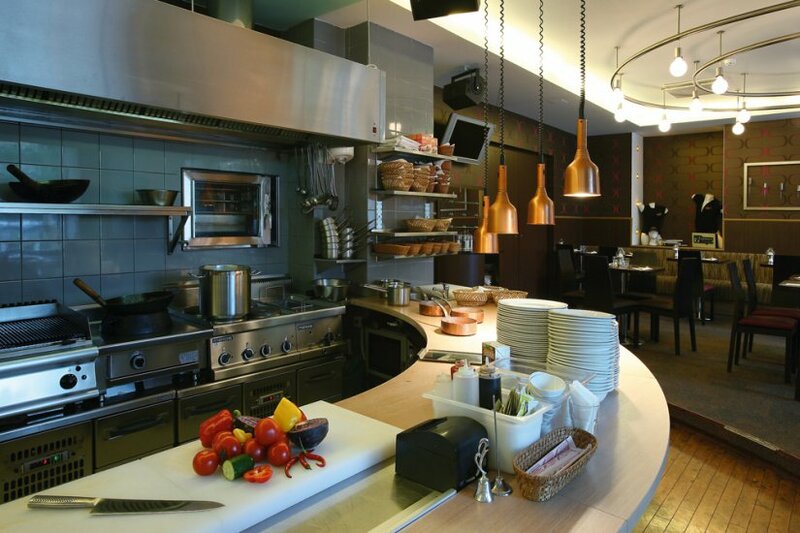 The chefs at Radharane select the best ingredients, from grains to lentils, vegetables, fruit, spices and more. They use traditional Indian ingredients such as ghee and paneer, alongside spices from around the world. There are also homemade breads and samosas, and a fine selection of Indian sweet dishes for dessert. Studio 9 is a really popular grill restaurant and lounge located on one of the city’s main streets. Here you can enjoy everything from jazz to electronic music in spacious surrounds. Spread over an indoor space and a massive summer terrace, it’s known for its music events, live gigs and good food at friendly prices. 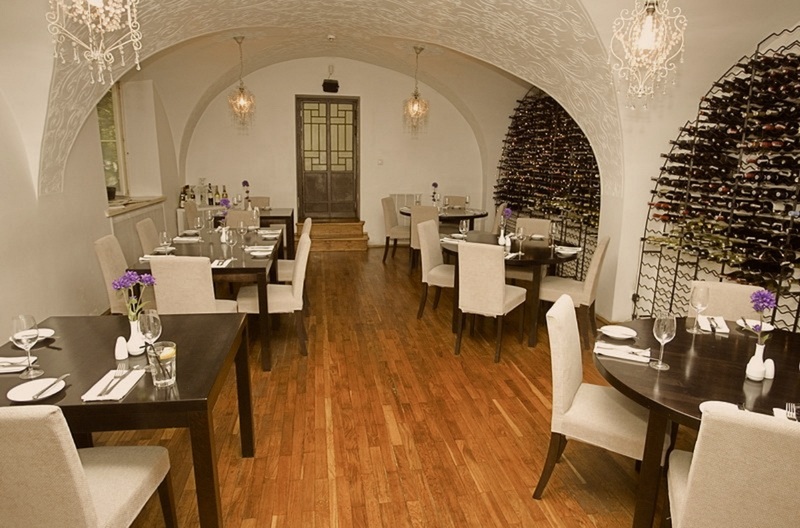 This wine-restaurant, which is near the decrepit abbey, savours of its history, traditions and antiquity. „La Boheme“ is located in the building where formerly was Jesuitical Church. 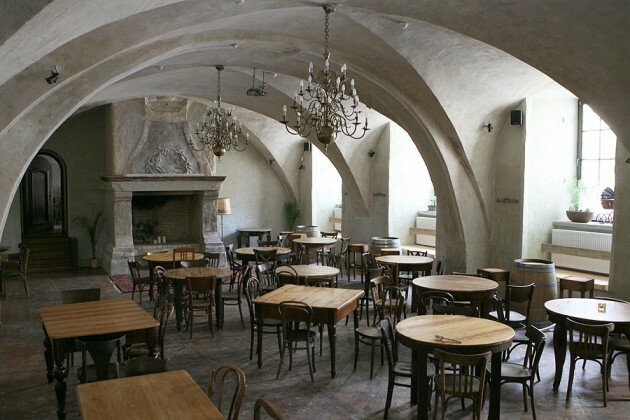 The interior distinguishes by its high vaulted ceiling, light moisture colour, and aromatic cellar atmosphere. There are more than 150 kinds of wine, you can also enjoy the meal there. The “La Boheme” slogan is “Wine + talk”. 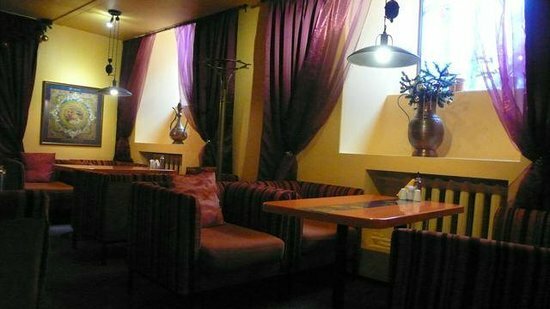 “Notre Vie” is a cosy wine bar located in the city centre. During the warmer months their tables spill out onto the street and the atmosphere becomes very lively. However, it is a lively place in winter too! If you’d like to try some wine that can’t be found at a local shopping centre, then this is a place you simply MUST visit. The wines on offer aren’t mass-produced. It’s wine for true wine lovers. 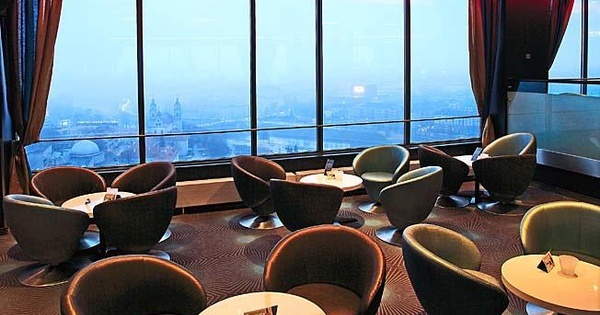 The one and only panoramic bar, Skybar on Radisson Blu hotel’s (Conference venue) top floor is a perfect place for you to relax after a long day. Gaze at the lights of the city and enjoy the widest cocktail selection in Vilnius. With live DJs playing on weekends, as well as a variety of appetizers and desserts, Skybar is a perfect place for a late snack and delightful evening. It is the kind of pub you spend time on weekends for many years and still like it. Great selection of drinks, pub food, well known soundrack, sports not to miss, charming bartentenders. Nothing else needed. 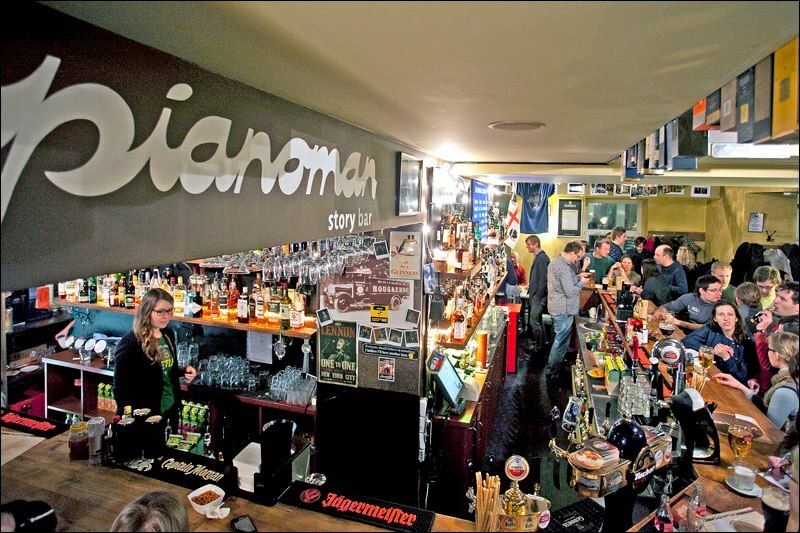 It’s the central bar in Islandijos street, which started the movement of Islandijos street nightlife and for sure keeps the title of being “the one” to be at. Other bars or wine houses that are also recommended: California, Republic, In Vino, Vinchenzo Mimoza, Roast and Beer, Kas Kas, Briuslee.